The news is already out about 7.1.0.Final being released yesterday and it being Java EE 6 Full Profile certified. This is a very proud moment for the entire JBoss AS7 team and the entire JBoss community who have helped us a lot to reach this goal. Over the past year when AS7 was being developed, we have had tremendous support from the community towards the efforts being put into AS7. They have always been there to report issues, provide feedback and even help other community members with any issues. You'll notice that this AS7 user forum has been very active - thanks to the community. Now that the release is done, it's time to thank the community members for their help. We have seen a large number of community members using the nightly builds that we publish and reporting issues immediately. This has helped a lot to fix the bugs very early and not wait until a new release is pushed out. So a big thank you to all the community members who contributed in any possible way (which includes creating forum discussions) towards AS7. It wouldn't have been possible and so exciting, if it wasn't for the kind of support AS7 community has been providing. Just like during the release of JBoss AS 7.0 there have been some community members who have gone the extra mile towards helping with AS 7.1.0.Final. So here's a note of thanks to those members. Prasad Deshpande - His name appears in the 7.0 list as well Prasad continues to be very helpful in the AS7 user forum to fellow community members. He has also helped a lot with the EJB client project by reporting various issues that he encountered while using it. I even remember a couple of occasions when he reported some bugs (like this one) in some new features, as soon as the feature was made available and the documentation wasn't yet available for those! Stephen Coy - Stephen has been very active on the AS7 forum and has been helping many users with whatever issues they are running into. His posts have always been very informative and helpful on a vast range of topics. Stephen has even reported issues (along with reproducible applications) against AS7 nightly builds. guinotphil - Right when we were wrapping up 7.1.0.Final release, guinotphil came up with an extensive analysis on classloader leaks in AS7 nightly builds. Thanks to that analysis we were able to fix some of those leaks before 7.1.0.Final was released. Previously, guinotphil has also reported some bugs in JBoss Modules. 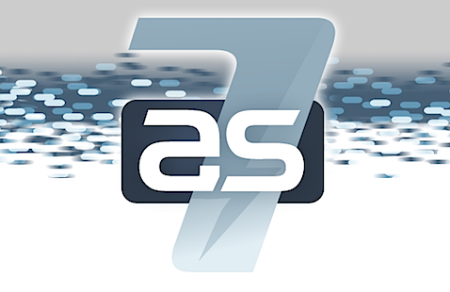 So a big thanks to everyone involved in the AS7 efforts! It's really pleasing to see where AS 7.1.0.Final stands today, just about a year or more after the development started from a completely new codebase. We hope to see you around, continuing to extend your help and support towards the next goals of AS7.